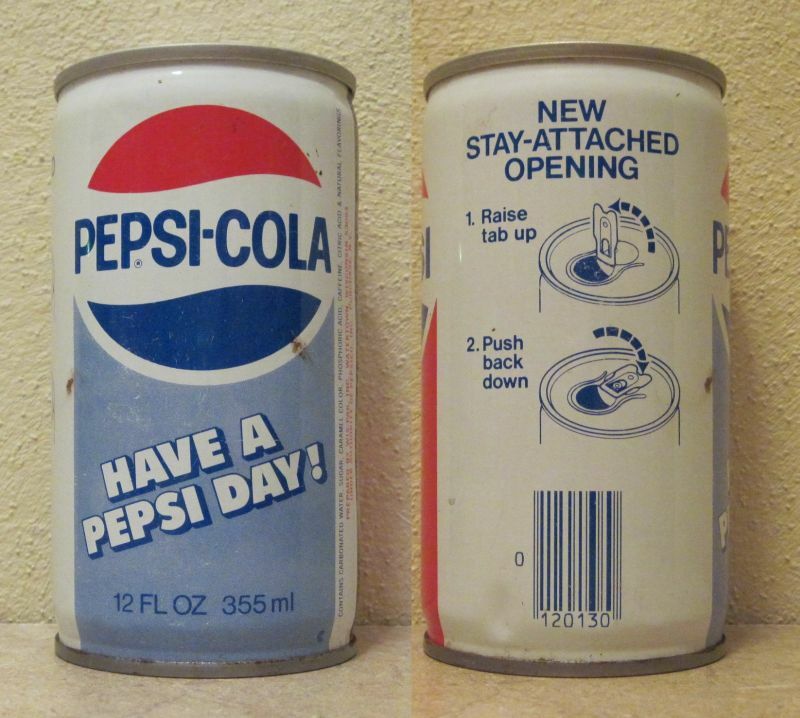 It’s hard to believe there was a time when people didn’t know how to open a can. The “stay-on-tab” (or “pop-top”) slowly replaced the “pull tab” from about 1977 to 1980, because the latter was a major source of litter and sharp enough to be dangerous. 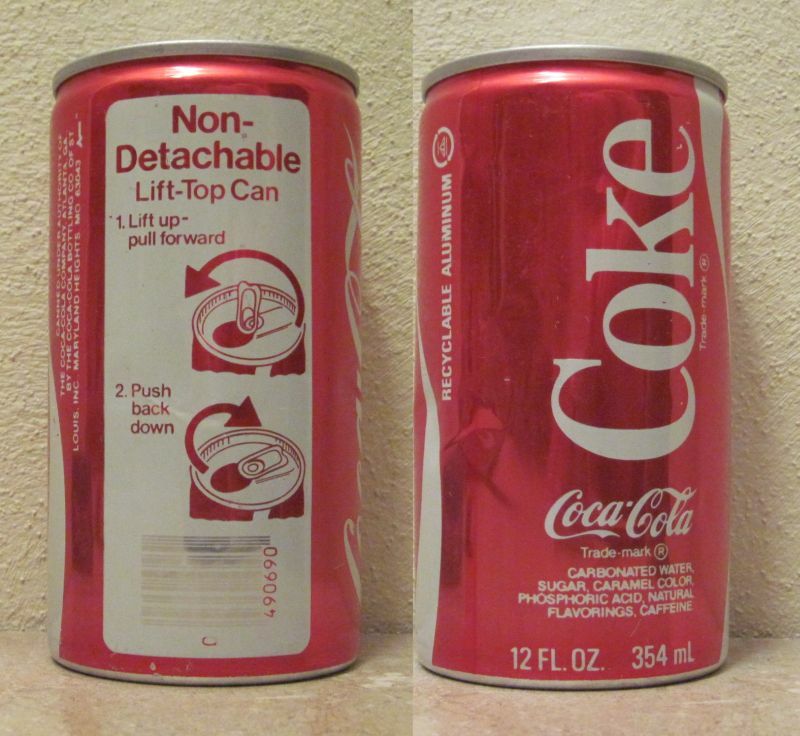 The Pepsi can is from 1977, and the Coke can is from 1978. Wow. Flashback image of chains made of pull tabs in my friend’s garage…I think his dad or older brothers must have been keeping trophies or something. They would link the tab ring to the bend-over tab of the next pull tab, and dangle completed chains from the ceiling, kind of like a beaded curtain. Was that a thing? Were they all tabs from beer cans? That would make 1970s-sense.